When I first got into doubles, I thought every gun with two barrels cost a fortune–especially side by sides. Of course, to a kid just out of college they did. But as I learned more about nice shotguns, I realized not all doubles are insanely expensive. While you can easily spend $5,000 – $30,000+ on a SxS from a maker like Parker or James Purdey & Sons, you can also spend less and get one that would be an ideal bird gun. The boxlock you see here looks like that kind of gun. Sure it’s a basic boxlock, but it’s built on one of the most reliable designs ever created (the Anson & Deeley action). 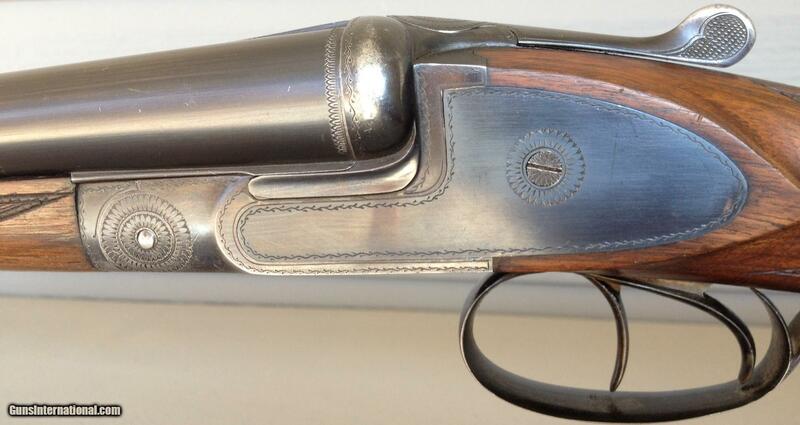 With sideplates and a blued finish, it’s a nice looking gun, and because it’s European, it has that “je ne sais quoi” that set it apart from your everyday A.H. Fox or British boxlock. Best of all, it costs less than a brand-new Benelli autoloader.